Iron Fist trailer is an improvement on the last! 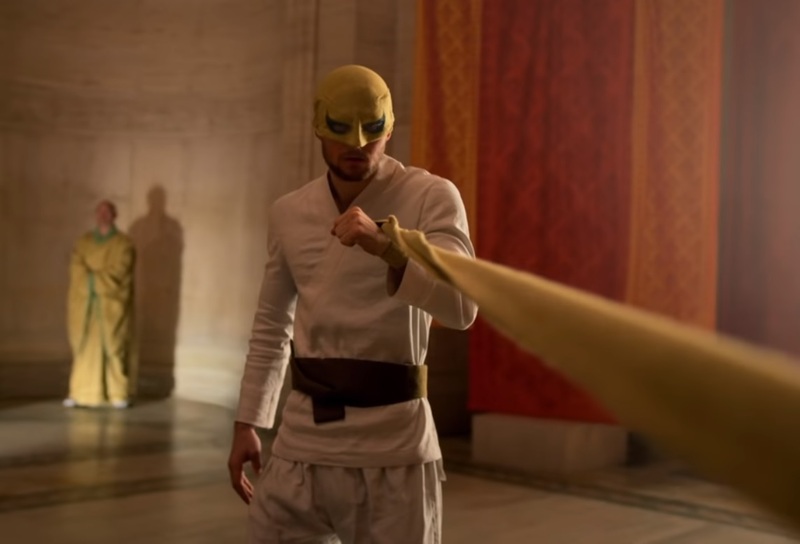 Hey folks... there's a new trailer out for Season 2 of Iron Fist... and it actually looks to be an improvement on the first trailer. I have not been a big fan of the Finn Jones Iron Fist. Before I came to work for AICN as a sock-puppet, I live-blogged the premiere and was left with about twelve pages of notes about how badly written and performed Season 1 Danny Rand was. I remember one of those pages being a long, careful dissection of why Netflix Danny is the worst teacher in the history of the world and Colleen Wing a close second. "The Defenders" seemed to call out what sucked so bad about the way he'd been written, and give him a chance to be less of a screamingly bad cliché. The "Luke Cage" season 2 episode "The Main Ingredient" was the first sign of a Danny I didn't want to see crushed by a moving van, and gave me hope for the future of the character. In the course of the episode, Danny teaches Luke about Chi, and it's a good lesson by someone who is a reasonably good teacher-- a huge improvement over season 1's abusive idiot. Plus, it was just great to see Power Man and Iron Fist team up and do it well, including a variation on the Colossus and Wolverine 'Fastball Special'. In this trailer, whilst Danny is still angsty about things, he seems to have grown up a bit and is trying to deal with himself. That suits me just fine. Iron Fist: Season 2 streams Friday, September 7th.